I've been printing my photo books with Blurb.com for years and I've always been extremely happy with the quality of their photo books and service. As an affiliate I will make a small percentage if you click on their banner on my site and decide to print your book with them. I only affiliate with companies that I work with and can personally recommend. 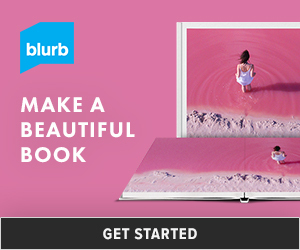 And of course, when Blurb.com is making an offer I hope I can pass the deal on to you!